Now its easier to quench thirst and cheer with the great Corinthians Thermic Bottle. Made of stainless steel, the bottle is predominantly silver with the club symbol engraved. It has storage for 350 ml and a practical closure. It has silicone seal. More info. Now its easier to quench thirst and cheer with the great Corinthians Thermic Bottle. 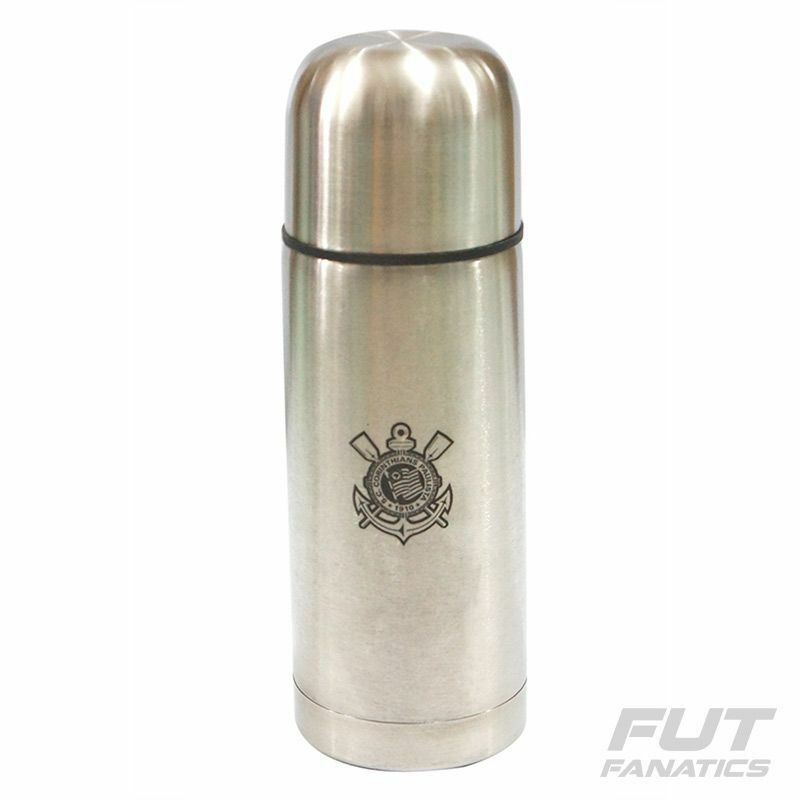 Made of stainless steel, the bottle is predominantly silver with the club symbol engraved. It has storage for 350 ml and a practical closure. It has silicone seal, preventing leakage and keeping the best temperature of the drink. Designed especially for fans of Timão!